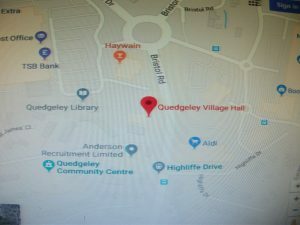 WELCOME TO THE QUEDGELEY VILLAGE HALL WEBSITE. 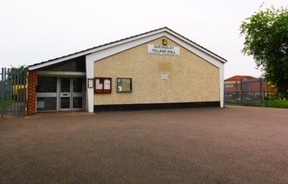 THE HALL WAS BUILT IN 1962 AND IS USED FOR CLUBS, PARTIES AND EVENTS. 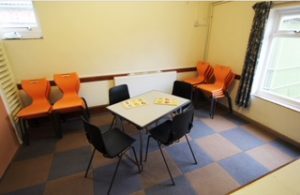 THERE IS A CHOICE OF ROOMS TO HIRE AND A MODERN KITCHEN WITH A 5* RATING. 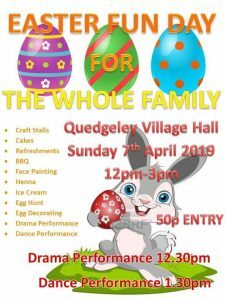 CAN A BOUNCY CASTLE BE USED? Yes the maximum size is no more then a 14ft on the bouncing area to allow for cushioning. 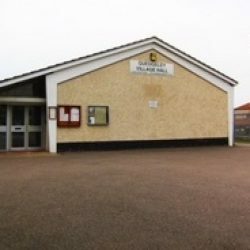 HOW MANY PEOPLE CAN USE THE MAIN HALL? 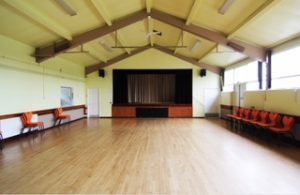 120 Can be seated in rows as an audience. 80 People around tables. The serving hatch connects the kitchen to the main hall. 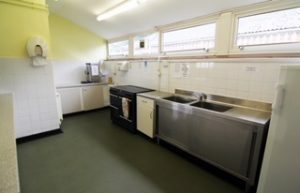 A microwave, large fridge, cooker with six hot plates, continuous fill urn that gives hot water for 50 cups of tea, cutlery and crockery for 150 people. There are 8 tables 6ft by 3ft and 12 3ft square chairs for 150 people. 30 toddler chairs and 2 toddler tables. 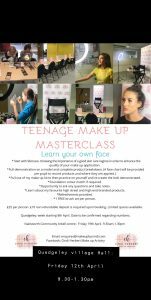 Teenage Make Up Masterclass starting 9:30am April 12th. 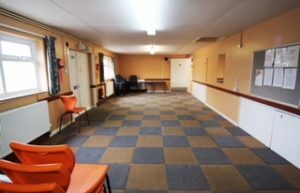 In the backroom and the entrance is through the car park.